Kings Distributed Systems is a distributed supercomputer that promises to provide the next generation of supercomputers. Now it is going to raise funds for the continued development so it will launch ICO in early October. With Kings Distributed Systems, you will find it faster when you get online. The current Kings Distributed Systems technology takes advantage of recently-released WebGL 2.0 Vertex shaders to give you native speeds. It can work across platforms and helps for enhance security. The SPARC token is the center of the Kings DS ecosystem which is ERC-20 tokens built on the Ethereum network. How to participate in the ICO and get the tokens? 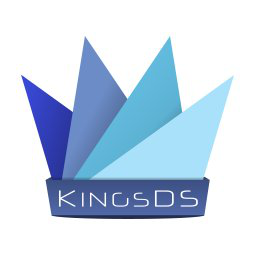 Go to Kings Distributed Systems website to discover more. ICO Description: Kings Distributed Systems is a distributed supercomputer that promises to provide the next generation of supercomputers.